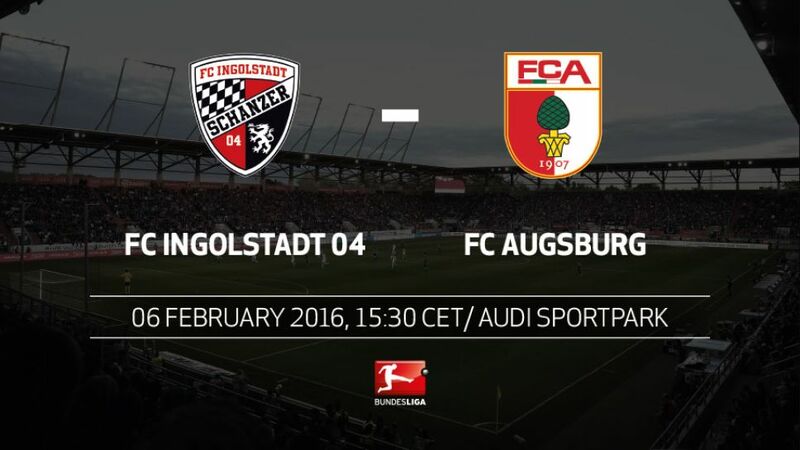 Only two points and two positions apart, it is set to be a well-matched affair when FC Augsburg make the 78-kilometre trip south to take on FC Ingolstadt 04 at the Audi Sportpark on Saturday of Matchday 20 (kick-off: 15.30CET/14.30GMT). Ingolstadt new boy Dario Lezcano made an impressive debut in a 2-0 defeat at Borussia Dortmund last time out, with the Paraguayan charged with scoring the goals in tight encounters such as these to keep Ralph Hasenhüttl's well-organised unit in the top-flight. That will be a tough ask against an Augsburg defence yet to be breached in 2016, however. Die Fuggerstädter's upward curve has continued into the new year after Markus Weinzierl's men recorded back-to-back stalemates versus Hertha Berlin and Eintracht Frankfurt. Augsburg's seven-game unbeaten run is the longest of any side in the top flight. The club record is eight games without defeat.Ingolstadt, however, could win back-to-back home games for the first time in their top-flight history on Matchday 20.Die Schanzer's current position of tenth - despite only scoring 12 goals - is the leagie's highest-ever position for so few goals after 19 games.Weinzierl's side made it a club-record three successive clean sheets after Matchday 19's stalemate with Frankfurt.FCA winger Caiuby represented Ingolstadt from January 2011 until summer 2014 - scoring 21 goals in 104 Bundesliga 2 games.Augsburg have won all three competitive games in Ingolstadt: twice in Bundesliga 2 (2008/09, 2010/11) and once in the DFB Cup (2009/10).